2. 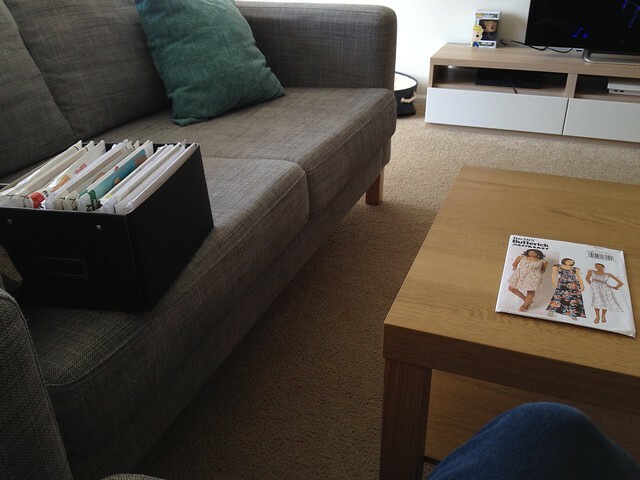 I want to organise my patterns (+pattern notes) electronically so I’ve started taking pictures of each pattern I own. They will soon be uploaded onto Evernote, and I’ll probably do a blog post to show the full process at some point. 3. Starting to organise my sewing patterns made me have a little organising spree…starting with our second spare/craft/hobby room. 4. 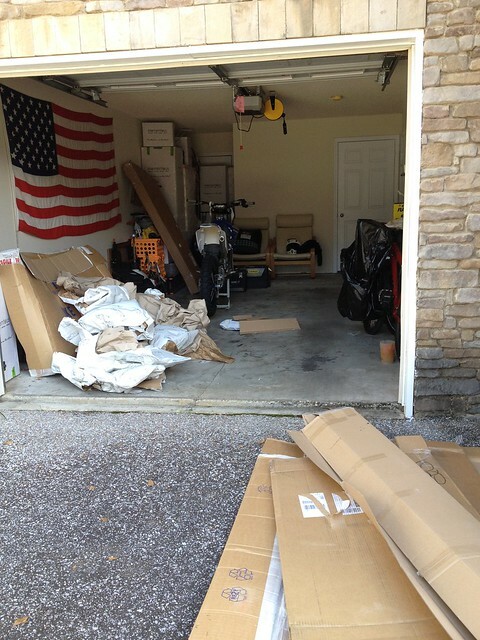 And then the garage. 7. 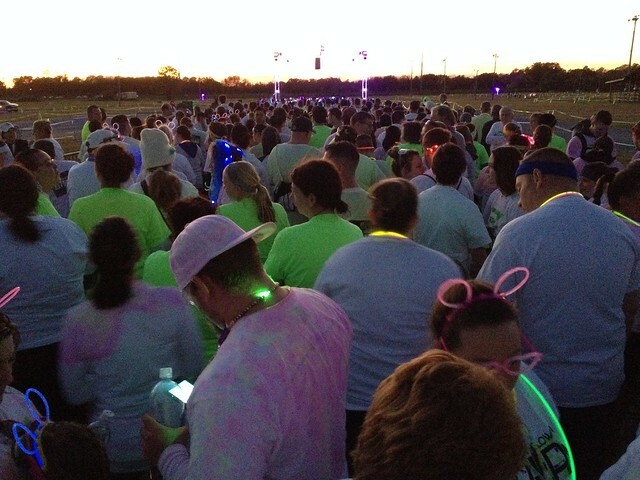 The tutus were then worn at the Foam Glow 5K in Pensacola, Florida! My friend and I completed it in 35 minutes and I am so proud of our time! We said that we would be pleased if we did it in an hour so we were super happy when we did it in just over half of our predicted time! The husbands came along too and said they would walk it….but we are still wondering how they managed to be waiting for us on the finish line! I think some cheating may have occurred on their part! Over 3000 people took part, luckily we got in line as soon as it opened. Your idea of scanning patterns is great! I have lost track and I have duplicates! 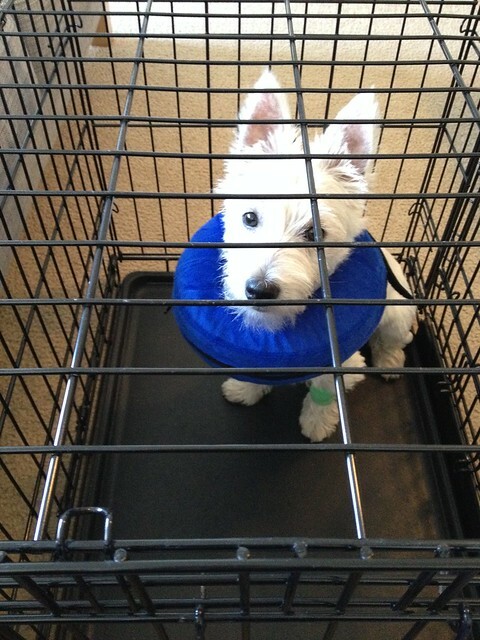 Poor Buzz in his collar of shame. Hugs from the UK coming his way. Buzz, it’s okay! 😍 I am in love with Buzz and Maisy. They are sooooo cute. Great timing on the 5k! Haha they are so very sweet! When they are quiet anyway, Buzz has the loudest bark & thinks everything is out to get him! I love doing 5k’s! Congrats on your finish. I love Buzz’z face…what did you do to me mom? BTW…I’b back on wordpress!! yay!! Thanks! It’s good to be back! New Name and URL so I hope you’ll come and follow!! My dear Buzz, I’m so sorry to see what they’ve done to you. My humans did it to me a long time ago too. And then they have the nerve to make you wear those ridiculous things around your neck. I send my deepest sympathy and can only suggest you make yourself look as sad/cute as possible to get extra biscuits. Hope you feel better soon mate. Woof! Woof! Thanks Mr Hicks! I keep forgetting that I have it on, so I bounce off the sofa every time I try to jump onto it! I’m having my stitches out today though…woof woof! Oh no 😦 Buzz doesn’t like it AT ALL! He is having his stitches out today though so I’m hoping that we can take it off soon! 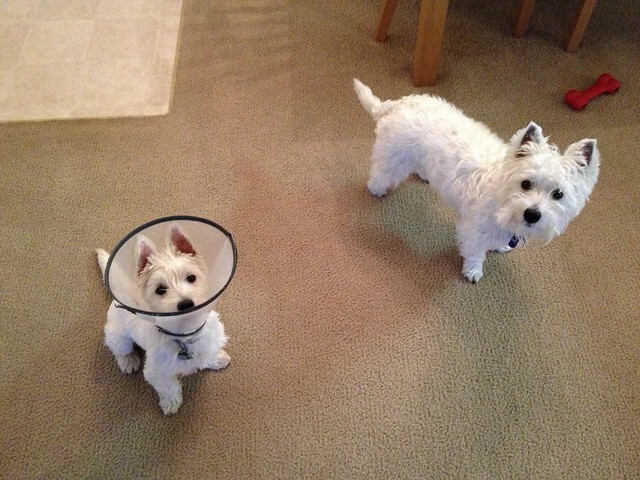 Poor Buzz looks like more cone than dog in that picture! Hope he feels better soon. I use Evernote for recipes, and I’ve always thought it would work well for patterns, too; if you took pictures of the back of the pattern, you could look up needed yardage while in the fabric store, which would be awfully handy. Looking forward to hearing how it works for you. Thanks – I’ll let you know how the Evernote organising goes! 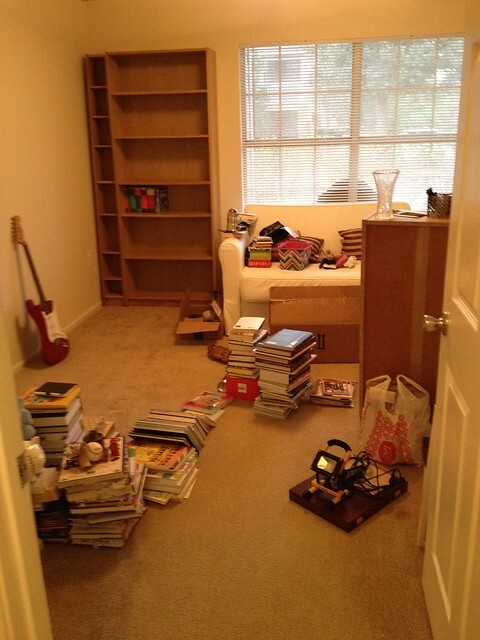 I’ve heard about using Evernote for pattern organisation before, it’s a level of organisation I can’t begin to attempt! Is it so you can check how much fabric you need when you’re out and about? Hope Buzz is ok & hasn’t been too sure. Was Maisy sympathetic? Well done on completing the 5k so quickly! 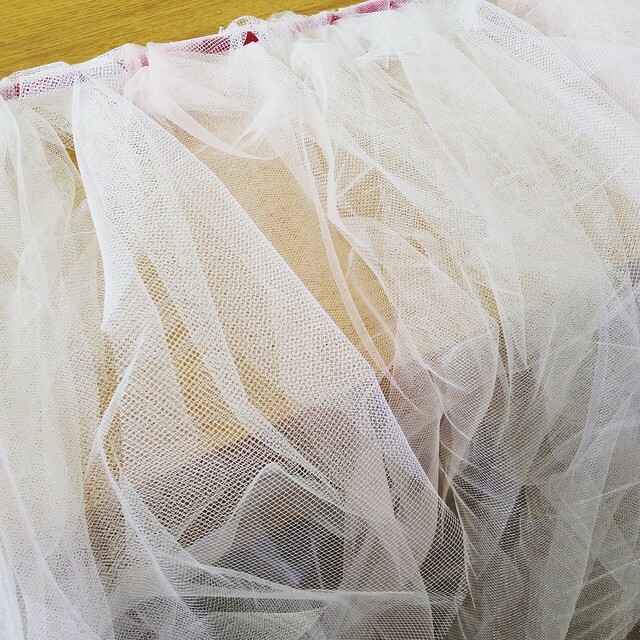 I did wonder why you were making tutus…. Buzz has turned into a little monster with this cone on! Maisy hasn’t given any sympathy, she’s not sure why he can’t play! Lol buzz does look cute in that cone. I agree completely! I love how things are when they organised 🙂 I have just shut the door on our spare room for now though…the dogs keep stealing everything I place on the floor! Haha…that’s what I’ve been doing too but then last week I ripped 2 of my vintage ones 😦 I’m also rubbish at recording the exact changes I make to the patterns – I do talk about changes on the blog, but not the measured details! I have Evernote but not really used it much so I love the idea for using it to keep track of patterns. I have so many knitting patterns that I have scribbled on filed in different places around the house, it would be good to have some kind of system in place to keep track of them all, and the changes made to them! Well done on your 5k run, that’s a brilliant time.